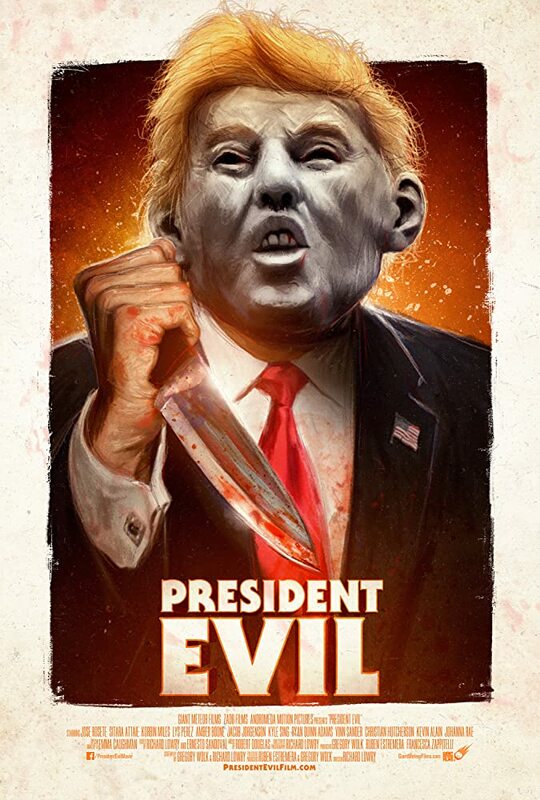 ‘President Evil’ tries to make the parody great again – Cinema or Cine-meh? “President Evil” couldn’t have been released at a more relevant time. The “Halloween” parody hit Amazon Prime on Halloween, fresh off the heels of the powerhouse “Halloween” sequel and right before the important mid-term elections. All that, though, they had anticipated. What they couldn’t have known about were the attempted bombings of liberal figureheads by a fanatic Trump devotee just over a couple weeks ago. That makes the plot—about a lunatic Trump supporter donning a rubber mask of the Donald’s face and stabbing liberal minorities—even more timely. Too bad the clever premise failed to execute on its opportunity. As far as parodies go, this sometimes scene-for-scene re-do is perhaps too obvious a technique. And the constant references to the Trump administration—many of the minor characters are named after major players in the political game (Clinton, Kushner, Mueller)—are insufferably annoying. Had they laid off the political agenda-pushing (and, don’t get me wrong, I’m fully in favor of the agenda they’re pushing), they may have had something good on their hands. 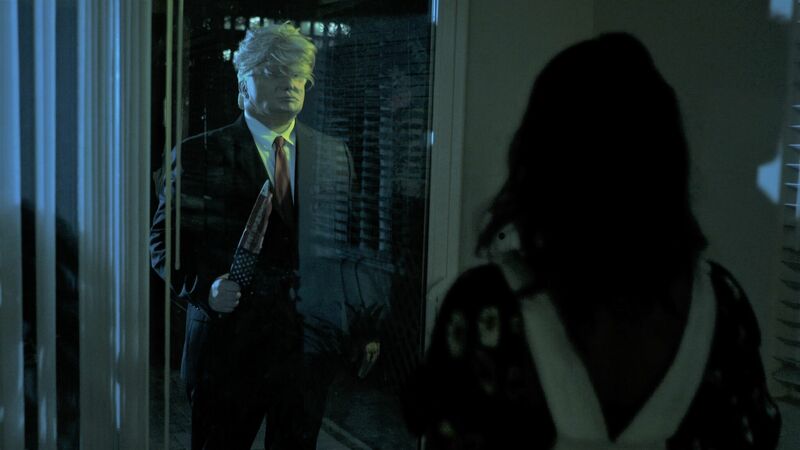 A “Halloween” parody about a Trump-supporter putting on a Trump mask and killing minorities is smart. But what these filmmakers do with that idea is not. It’s too on-the-nose and too preachy. Its political intent is obvious from the start. And, unfortunately, it is neither scary nor funny enough to overcome its flaws. But maybe if somebody like Danny McBride happens upon it, a respectable remake of this story could do it justice.